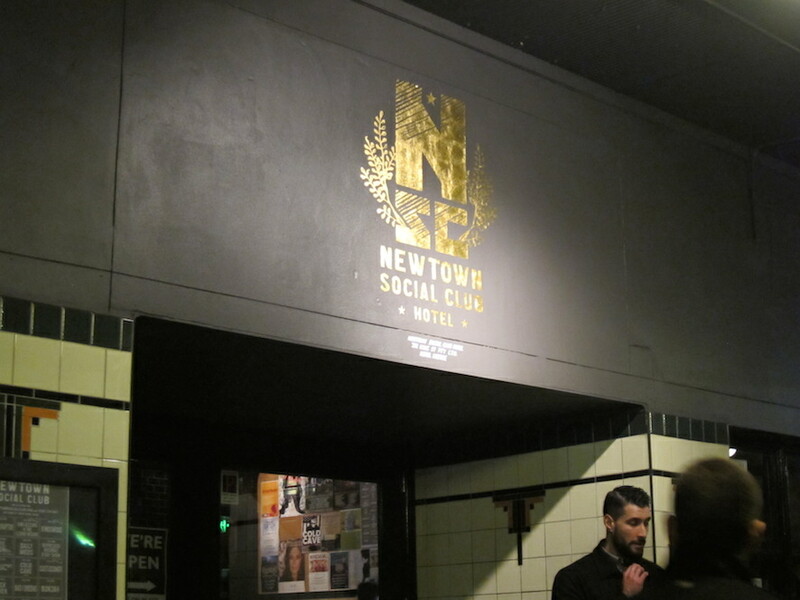 I feel like a bit of a fraud writing about the Newtown Social Club without having been to a gig there. A quick glance at their website will tell you that this place is first and foremost a music venue, which is lovely, except that most bands don’t start hauling their amps up the stairs before my bedtime. So this is going to be a review of the drinkey and eatey bits of NSC rather than the venuey bits. This is the first time we have eaten at the Social Club, but I have had a few quiet settling ales there before plunging on to various quest destinations. One of the things I have noticed is that the front bar seems to have been mainly designed with evacuation in mind. There are very wide front doors and a distinct lack of furniture except around the walls. No doubt this is part of the requirement to get large numbers of sweaty music fans off the premises quickly, but it does limit the opportunities for sitting down with a quiet beer in the front bar. Out the back though, there are plenty of tables and chairs – and a kitchen. The menu is refreshingly concise. As this venue used to be a pub, I have decided to conscript it for the Burger Wars. In contrast to Deans Diner, there are only two types of burger on offer. You’ve got your meat burger, or your vegie burger. And the pulled pork roll does not pretend to be a burger, which is a refreshing change (I’m looking at you Bank Hotel). The lighting is so dim that I have to go and stand in front of the blackboard menu before I can actually work out what the fine print says. A pleasant surprise is the prices: $13 for a burger, $9.50 for a pork roll. We try the salt and pepper squid for entree and a beef burger for him and a pulled pork roll for her. The crowd is mixed. The younger folk are in the front bar where the main feature is the pool table. In the dining area the demographic seems a bit older. Tonight there is a surprising amount of turquoise coloured hair, even for Newtown. There is a large group of women with quite a few attendant children, making me wonder if the Wiggles were playing upstairs, but Strop decided it was just a birthday celebration. The dining room is a good spot for groups, with tables that can easily be dragged into a variety of configurations. 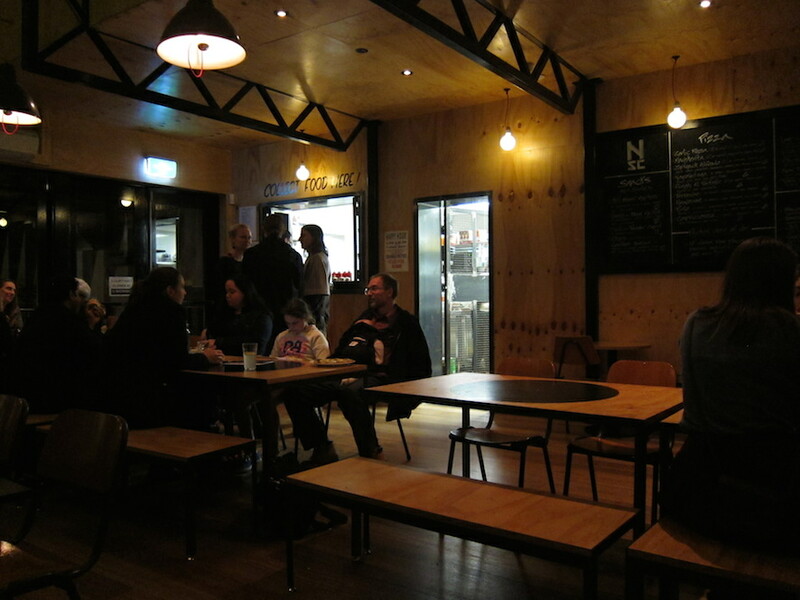 There is a nice noisy relaxed vibe to the Social Club. Good music playing and it’s not too crowded. If they had a few more comfortable places to sit I might become a regular. Tried just sitting with a drink and was overwhelmed by the ‘battle of the bands ‘, one recorded and the other one practicing upstairs, and not in harmony. Hopefully my group arrives soon and we can find somewhere marginally quieter and coordinated to eat and drink.